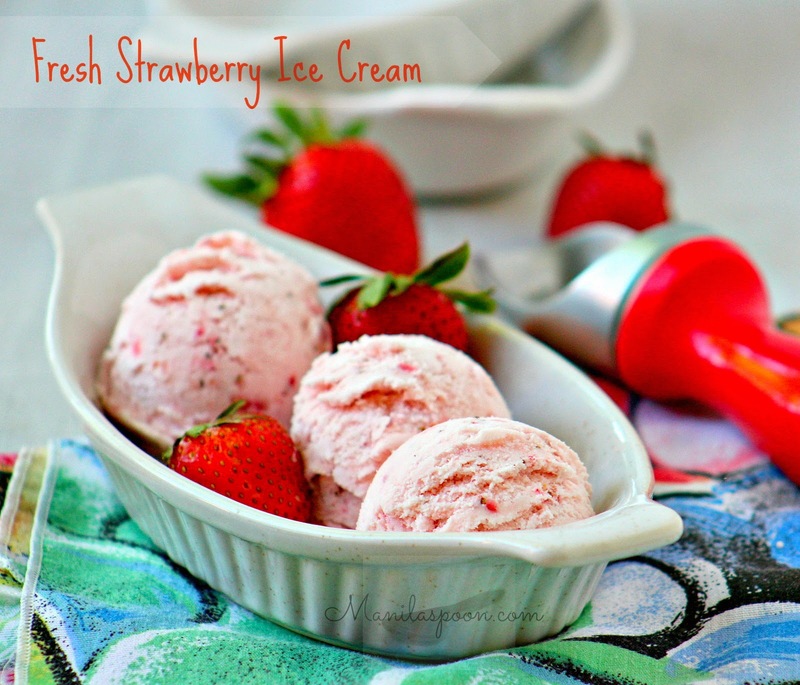 So when fresh organic strawberries were on sale, I told myself, it’s time to make some yummy Fresh Strawberry Ice Cream and here it is. There were no eggs involved in the making of this ice cream and it’s super easy to make. All you need is one bowl and a whisk (and an ice cream maker, if you have one!) to make this amazing ice cream. 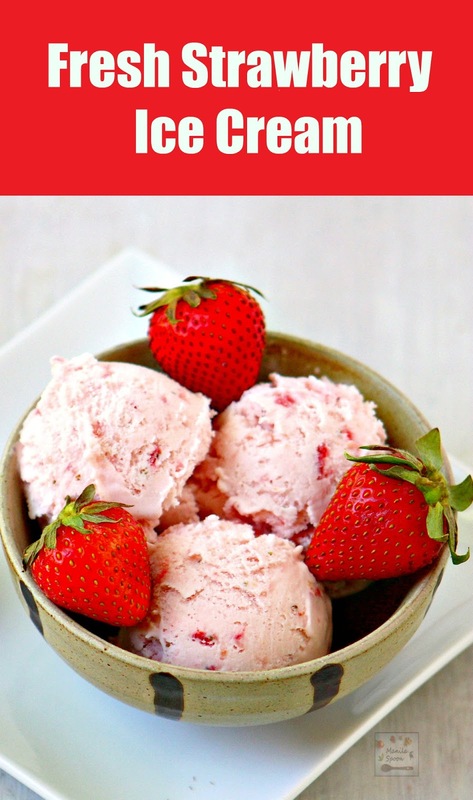 I have included instructions on how to make this ice cream without an ice cream maker. Enjoy this lovely dessert all summer through and beyond! 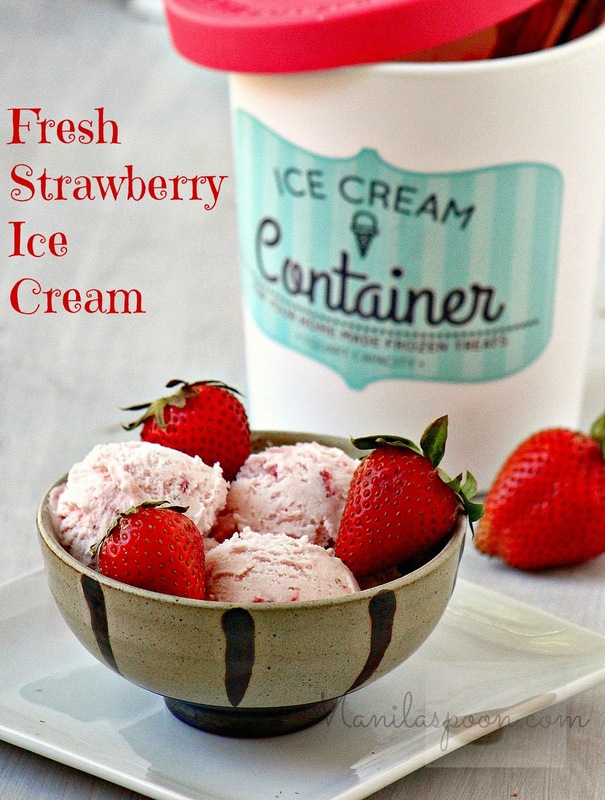 Depending on the size of your ice cream maker, you can either make the lesser one or the full recipe as indicated. I made the full recipe and though the ice cream reached the top of the container it didn’t really overflow while churning. Wash, clean and hull the strawberries and then puree in a food processor until smooth or to your liking (you may want a few bits here and there for texture). I try to just turn it into a smooth puree as some pieces can turn into ice crystals because of the water content but if you’re not bothered by that just pulse it away to your preference. Combine the half and half, heavy cream, sugar and salt in a mixing bowl. Mix using a wire whisk until the sugar is dissolved. Stir in the pureed strawberries and vanilla. My 5-year old just decided she likes strawberries. 🙂 I'm thinking this will be a good way to test that declaration. 😉 Pinned – thanks! So easy!! 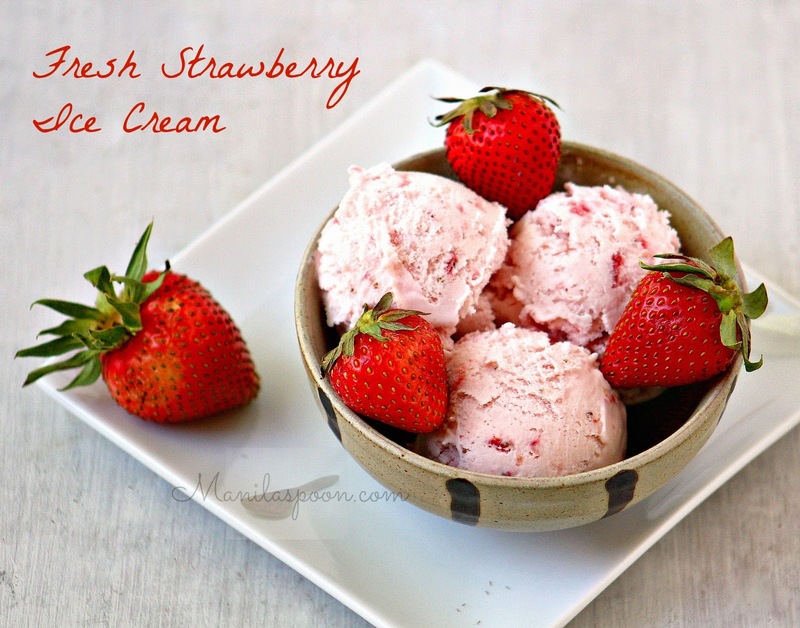 This is my first recipe tried in my ice cream maker. Simple instructions and can’t believe how fast it was. Thanks for sharing! Glad you liked this! Thanks and it’s truly easy and fast! !